Christ on the Mount of Olives / The Agony in the Garden (B. 6, Strauss 38, M. 115 c). 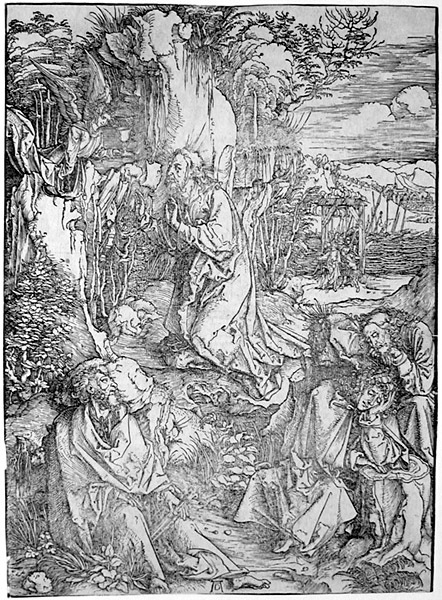 Original woodcut, c. 1497-1500. One of D�rer ‘s earliest major prints, this work was one of the first to reveal his genius. Originally made for D�rer’s Large Woodcut Passion, this is one of D�rer ‘s most dramatic prints.